Is it Jamb or the School you applied to that offers admission? I know that you are excited to see this topic. Trust me, I am going to make it interesting. Are you set? Let’s begin…. For some time now, you have been wondering whether it is Jamb or the University/Polytechnic that offers admission. You would have already concluded something in your mind. What have you concluded so far? I know that you will say that it is Jamb that offers admission. Trust me, you are wrong. 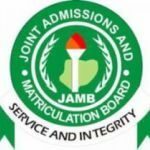 The Joint Admission and Matriculation Board (JAMB) Announces the release of Jamb registration form, you quickly create your Jamb profile and apply. What next? You sit for the examination and score very high. If not very high, at least, a pass mark. As you prepare for the examination, Jamb sends the names of those who registered to their various institution of choice. amb sets general cut off marks for the schools but the school determines the departmental cut off mark. This is why, Jamb will say that cut off is 180 but some persons don’t even gain admission in their school of choice with a Jamb score of 250. The School conducts physical clearance, sends the names of the students they have admitted back to Jamb. Jamb then uploads it to their site and call it Jamb admission status. Now, you may be asking, how come School offer some persons admission but it doesn’t show in Jamb admission status? Nice question. There are two possible reasons: Either the person’s admission status us yet to be uploaded to Jamb portal or there is a story that touches.